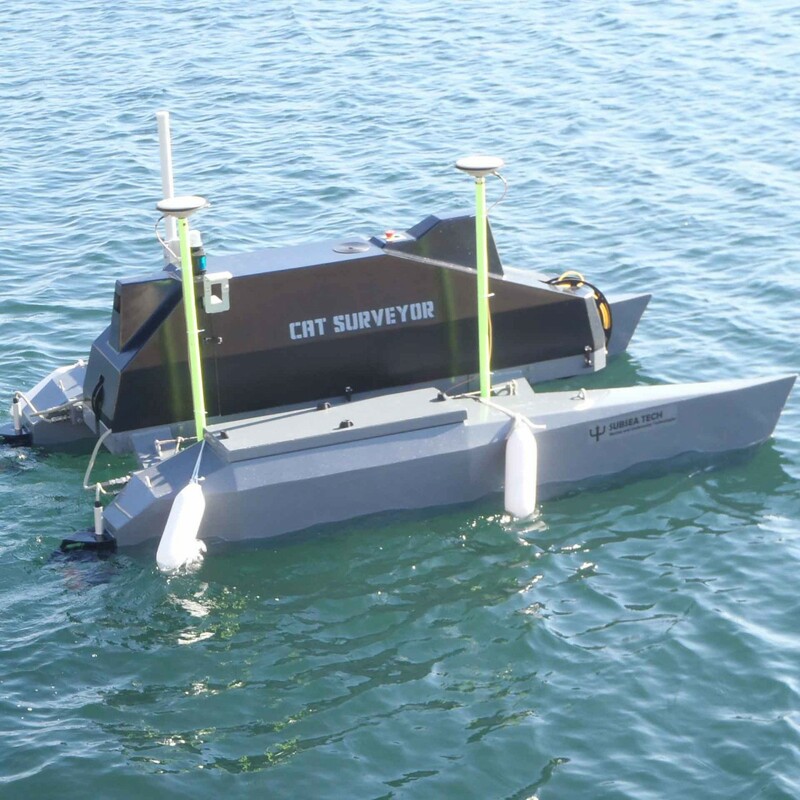 CAT-Surveyor is a small USV for surveys in harbor, coastal and inland waters such as civil works and infrastructure inspections (dams, bridges, quays, dikes, gates…), bathymetry, ADCP, sea bottom surveillance and environmental monitoring. 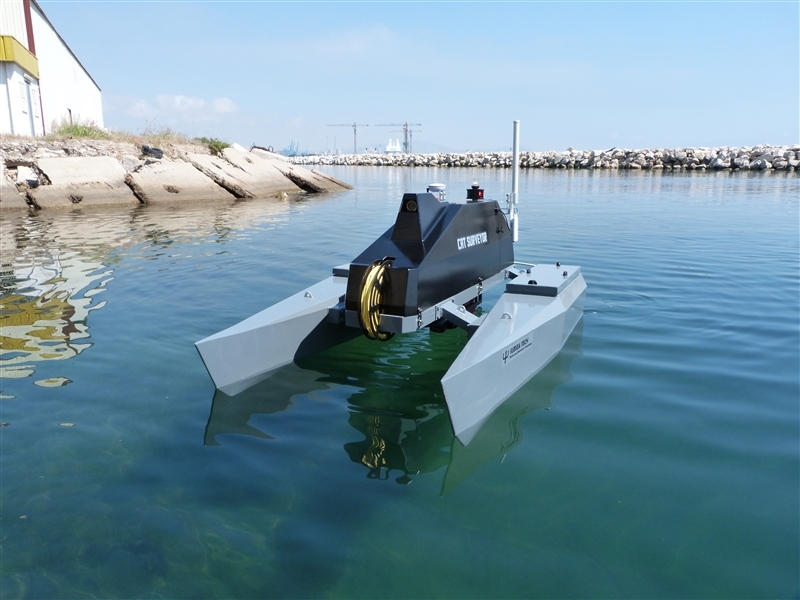 The system is based on a catamaran type vehicle fitted with an embedded PC allowing an easy integration of different sensors such as acoustic cameras, sonars, echosounders. 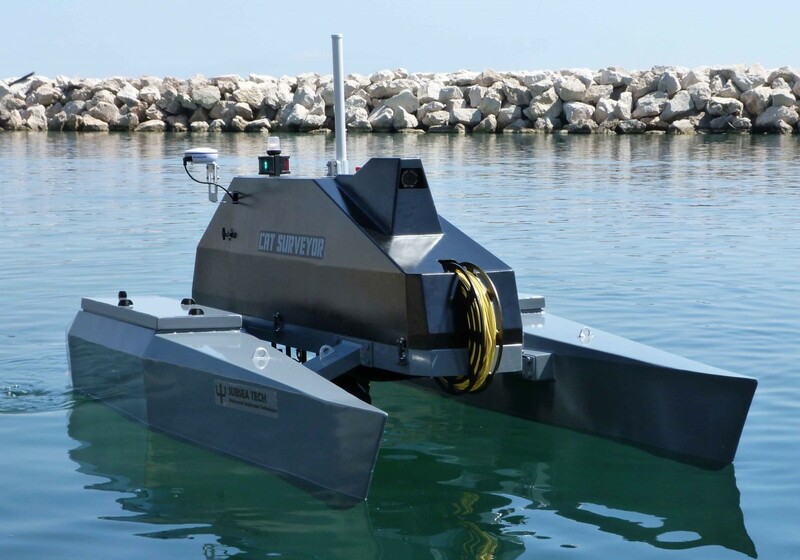 A unique feature of CAT-Surveyor is its capability to embark a mini-ROV for visual inspection or target identification. It can be piloted remotely thanks to a long range WIFI link with the shore control. Alternatively, its automatic navigation system allows running preprogrammed missions. The catamaran is also marked out by its compactness: 3m long, 1.6m wide, payload of 80kg, folding mast and antenna, transportable on a trailer or in a small truck.